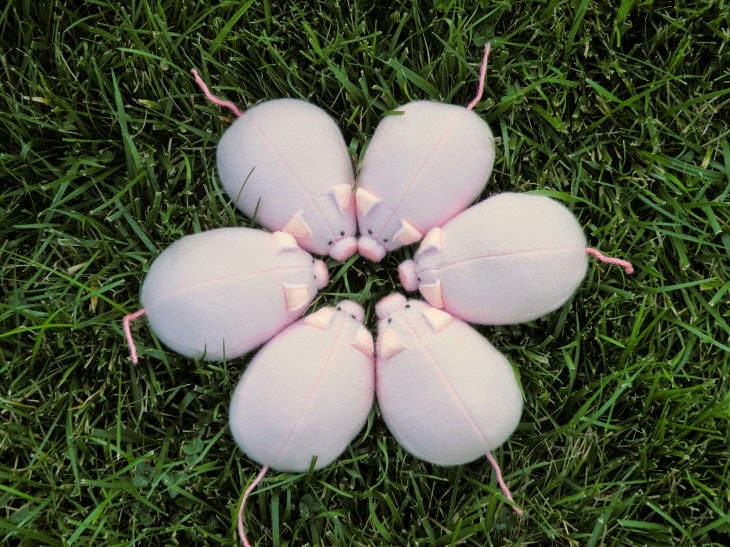 And her six wee piglets. They are preparing themselves to go to the county fair. With their roly poly antics. The pattern is from LiEr at Ikatbag. Hello there! Thanks for inviting me to come see your new Family Oink. They turned out really cute! And I loved that the pattern was your birthday present to yourself. I should buy those kinds of presents for myself, instead of dumb stuff like hair irons and knife blocks and nutella. 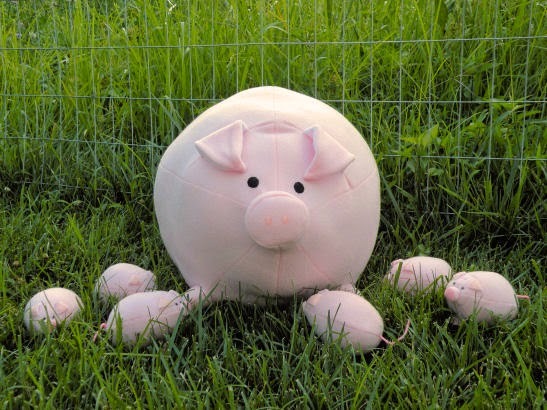 Good luck at the fair, piggies! 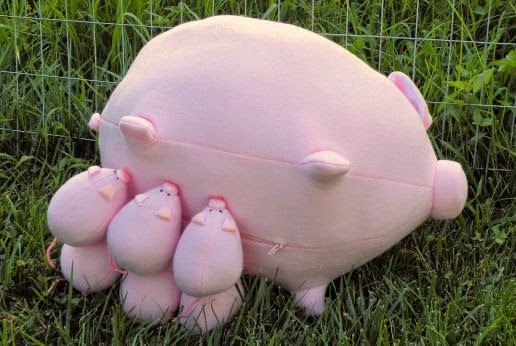 The piglets do attach to Mama Pig with pink velcro (I ordered it from Seattle Fabrics). 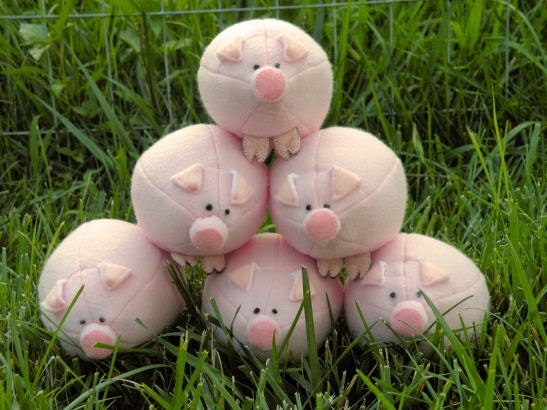 Magnets could work too, but they might be a choking hazard should they become dislodged from the piglets snouts. 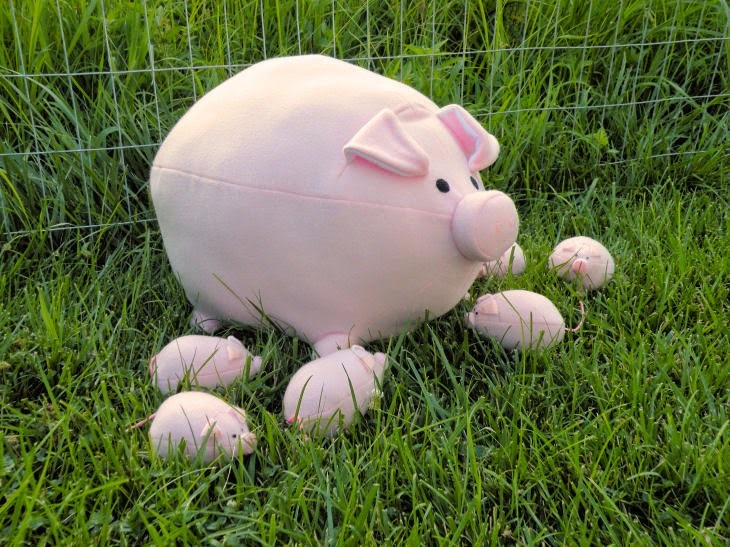 I really don't know what to expect at the fair, but I'm just a nerd and want to enter my pigs in the fair just like people do with their real pigs. Tee hee! I can't believe I won that giveaway from Gingerbread Snowflakes! I'm so excited to make some cute, cute things for Christmas this year! You can purchase the pattern from its author LiEr at Ikatbag.com. Here is the link. It's such a charming pattern!